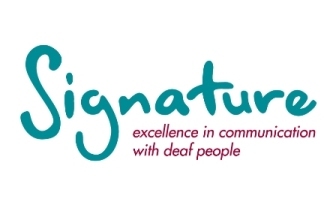 Signature has welcomed the Work and Pensions Committee’s recommendation that sign language interpreting be recognised as a special case by Access to Work. Signature has welcomed the introduction of the British Sign Language (Scotland) Bill as a solid foundation on which the UK can build recognition of the language. Sense have launched a survey to look at the current skills and training needs of people who use, or would like to use tactile signing. This is a project initiated by NatSIP, with input from both Sense and the BSL coalition. 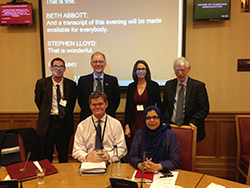 An audience of politicians, civil servants, educators, charities and businesses met in the House of Lords on 3 December to learn about some of the innovative technology that is making education and employment increasingly accessible for deaf people.